You know how it is: You’re enjoying your favorite band, maybe fist pumping in the air, maybe circling a bit around the mosh pit. And yet, you hunger. 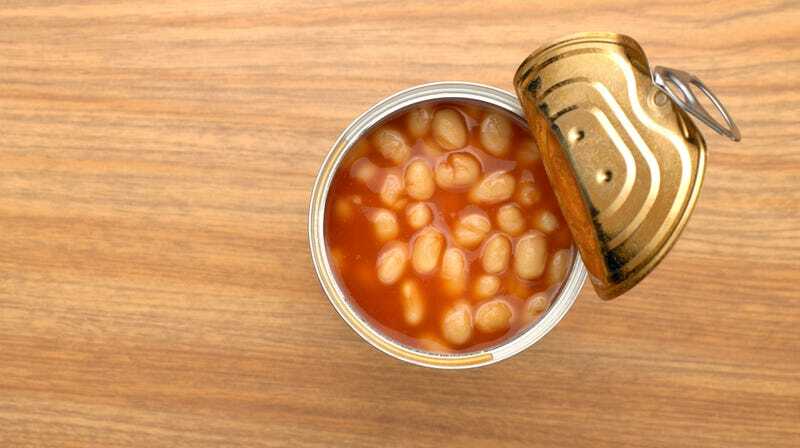 Specifically, for delicious beans out of a can. Why not combine these two beloved pastimes? As Loudwire reports, at a recent stop on the Warped tour, a fan enjoying a Kublai Kahn set did just that. He’s dancing. He’s eating beans. He is expertly juggling both activities, enjoying both music and snack. The person who posted the video, Twitter user @loganakasad, reports that eventually the guy tossed the can of beans. And probably went on the hunt for his next dance snack. I’m headed to the Foo Fighters tonight here in Chicago, and who’s to say? If you see me on a viral video jumping up an down like a maniac while enjoying a Wrigley Field hot dog, you’ll know exactly who my inspiration was.